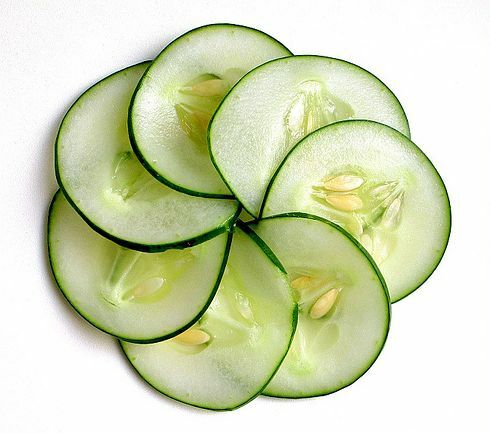 Cucumbers like watermelons, are 95% water. Also vitamin C is there. It is good dietary fruits , they help to control the inner body temperature and body flush out toxins. You can use as it your beauty recipes. 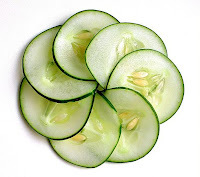 Take one medium size cucumber, peeled it and cut it small pieces. Make puree of it by using blender Extract the clear juice in a bowl or cup. Pour it into a clean bottle and add 2 tea spoon of honey. Before use this toner, shake first. After that take some drop in a cotton pad. And sweep over face and neck and uncovered area at morning and night time,leave it for 3 to 4 minutes. It will work as a toner. You can use it one week by storing in refrigerator.